Labour Relations Act 66 of 1995 is a subscription based product including both the printed loose-leaf and LexisMobile publications. Updates for 12 months (print and mobile) are included in the price. 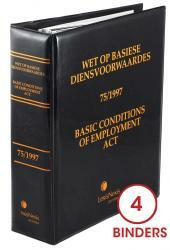 This bilingual publication contains the Labour Relations Act No. 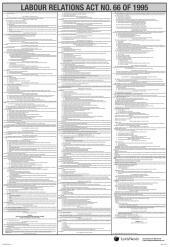 66 of 1995, with the Rules, Regulations and Notices. 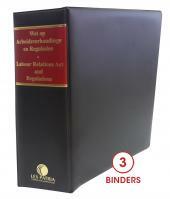 This online product contains a library of pre-selected legislation, suited to your subject area. Where possible, all legislation packages include the following: Acts, Regulations, and Wording of Sections Prior to Amendment.